Genuine OEM Canon Toner Cartridge, Yellow, 11,500 page yield. 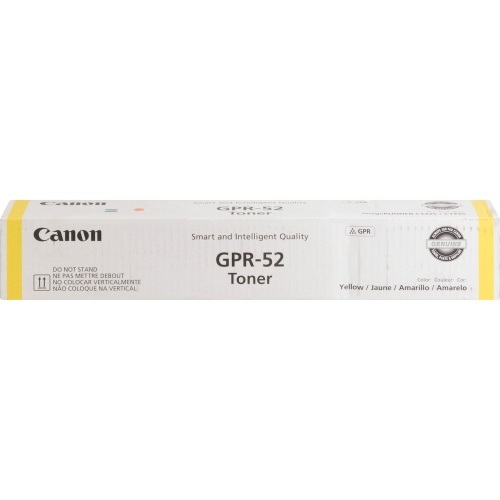 Canon part number: 9109B003, 9109B003AA, GPR-52 Yellow. Color Laser Toner Cartridge compatible with Canon imageRUNNER C1325iF, C1335iF. Genuine OEM Canon Toner Cartridge, Cyan, 11,500 page yield. Canon part number: 9107B003, 9107B003AA, GPR-52 Cyan. Color Laser Toner Cartridge compatible with Canon imageRUNNER C1325iF, C1335iF. Genuine OEM Canon Toner Cartridge, Magenta, 11,500 page yield. Canon part number: 9108B003, 9108B003AA, GPR-52 Magenta. Color Laser Toner Cartridge compatible with Canon imageRUNNER C1325iF, C1335iF. Genuine OEM Canon Toner Cartridge, Black, 16,500 page yield. Canon part number: 9106B003, 9106B003AA, GPR-52 Black. Laser Toner Cartridge compatible with Canon imageRUNNER C1325iF, C1335iF.